Karachi has been facing serious water and sanitation issues. The sitting government of Pakistan People’s Party (PPP) seems to be completely unmoved and unconcerned about the plight of the common man of this city. A plethora of promises were made, cosmetic measures were taken but to no avail. Despite bringing in Chinese contractors for lifting and disposing garbage, the city still paints a sorry picture. A picture of neglect and abandonment. 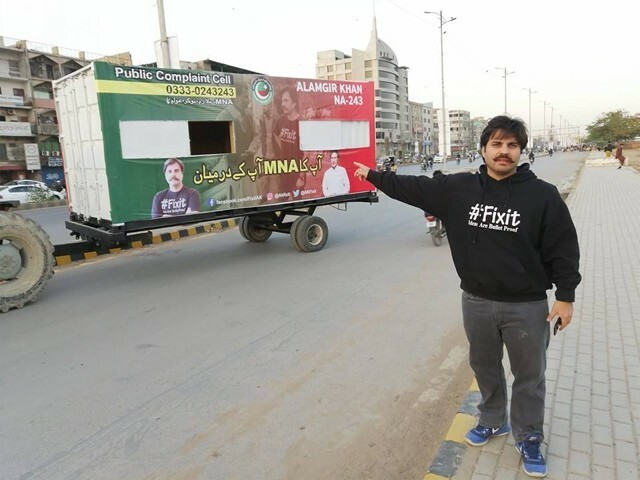 FixIt was a movement initiated by Alamgir Khan, a resident of Karachi and a business graduate of Iqra University. He came into the limelight with his legendary manhole cover movement where he painted the then chief minister of Sindh Syed Qaim Ali Shah’s picture right beside all open manholes in the city. 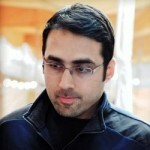 His movement gained momentum and the FixIt team started expanding with more members and therefore more street presence. Social media played a vital role in highlighting their efforts to make our city administrators and legislators realise the grievances of the citizens of Karachi. A number of times, their team members were arrested only to be released on bail later on. Karachiites were highly appreciable of the efforts of team FixIt at a time when no one else had the courage to take the mighty government of Sindh head on. Khan’s services and efforts for Karachi bore fruit and he was elected as the member of the National Assembly from NA243 after contesting on the ticket of Pakistan Tehreek-e-Insaf (PTI) in 2018. He now has a bigger canvas, a more effective platform and enough political muscle to rally for a good cause and take the plight of Karachiites to the corridors of power. However, his recent move where he was involved in emptying buckets of sewage water at the gates of the Chief Minister House was uncalled for. No matter how crucial and valid the issue is and how clear and genuine his intentions are, what Khan needs to realise is that his FixIt days are over and he now has a more effective medium to get his message across. عالمگیر خان نے کراچی کی سڑکوں پر موجود گندے پانی کو لے جاکر سی ایم ہاؤس کے باہر پھینک دیا. As a legislator, he holds more influence, clout and political strength (being a member of the ruling party in the centre) and therefore he will have to come out of his street rallying mode and take on a more responsible role as a politically-elected decision-maker. His position as an MNA requires him to act maturely and be more vocal about the issues of Karachi on the floor of the assembly. 1. Appoint someone in his place to take the FixIt movement forward. He can stay as the founder and think tank behind the movement but the movement itself should be taken up by a different face with the same team. 2. He can raise his voice in the National Assembly by coming up with resolutions that could highlight the issues faced by the people of Karachi. PTI has enough political strength in the National Assembly to bring about major changes. 3. Khan can motivate like-minded individuals to file a case in the Sindh High Court against the criminal negligence shown by the government of Sindh in providing clean water to the residents. 4. He can hold press conferences and feature on talk shows on the electronic media to create awareness amidst the masses. 5. He can issue statements in the print media as an MNA. 6. Social media can be used to mobilise the citizens and exert more pressure on the people at the helms of affairs in Sindh. 7. Khan can take up this issue with his party chief and Prime Minister Imran Khan. As an MNA, he now has the approach that he lacked when he was merely the founder of FixIt. Khan is our national asset and the citizens of this great city have appreciated whatever he has done to highlight their issues. More is expected from him and his authority as an MNA. His voters have high hopes and all his future moves will decide his fate in the next General Elections. After all, he won the seat because citizens thought he needed to be in a position of power to bring about change. So use your power and political standing, Mr Khan.